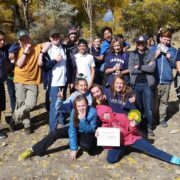 RCI at the Carson River Snapshot Day – Resource Concepts, Inc.
RCI staff participated in the 12th Annual Carson River Snapshot Day on October 20th, 2017. Lynn Zonge, Fluvial Geomorphologist and our hydrology specialist, JoAnne Michael, our senior resource specialist who focuses on wetlands permitting and biological surveys, and Kristin Roaldson, our environmental engineer specializing in stormwater and reclaimed water, had a great time volunteering to share their love of our local waterways with students, teachers, and parents. 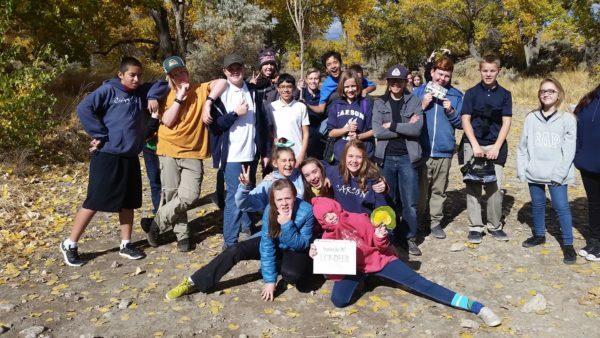 Eleven schools sent approximately 250 Carson River Watershed students, ranging from 4th grade to high school, to participate in the event. During the event, students took a picture of “one moment in time” of the Carson River by collecting water quality data and describing the riparian habitat. The students also learned about watershed concerns, source water protection, and stewardship practices. RCI joined other team leaders from the Alpine Watershed Council, Friends of Hope Valley, Washoe Tribe of Nevada & California, Sierra Nevada Journeys, Nevada Division of Environmental Protection staff, The Nature Conservancy, Carson City Public Works, Carson City Parks & Recreation – Open Space, Carson Water Subconservancy District, University of Nevada Reno – Cooperative Extension, Nevada State Parks, Dayton CD, River Wranglers, Lahontan & Stillwater CD, and Nevada Department of Wildlife. Special thanks to Mary Kay Wagner with the Bureau of Water Quality Planning at the Nevada Division of Environmental Protection for coordinating the event!